You've seen barcodes on everything from food items at the grocery store to patient wristbands at hospitals. You may have noticed that they come in different forms and can contain varying amounts of data. What are barcodes exactly, why are there so many variations, and when does each one get used? This guide aims to explain just that. A barcode is a set of parallel lines atop a series of numbers, letters, and/or characters. It stores information in a form of visual data. Machines then decipher the data and use it to complete a task, like track or catalog an item. Different types of barcodes have emerged for a variety of niche uses. Below, we elaborate on the use-cases for each barcode type. There are over a dozen types of barcodes serving different purposes and systems all over the world. Some are more recognizable than others, most notably the selection pictured above. They include: UPC barcodes, Code 128 barcodes, EAN barcodes, Code 39 barcodes, Interleaved 2 of 5 barcodes, Codabar barcodes, and PostNet barcodes. We've broken down the aforementioned barcodes (and a few additional ones) into three common uses: global retail, in-house retail, and specialized uses. UPC barcodes are used by countries like the US, Canada, UK, and Australia. 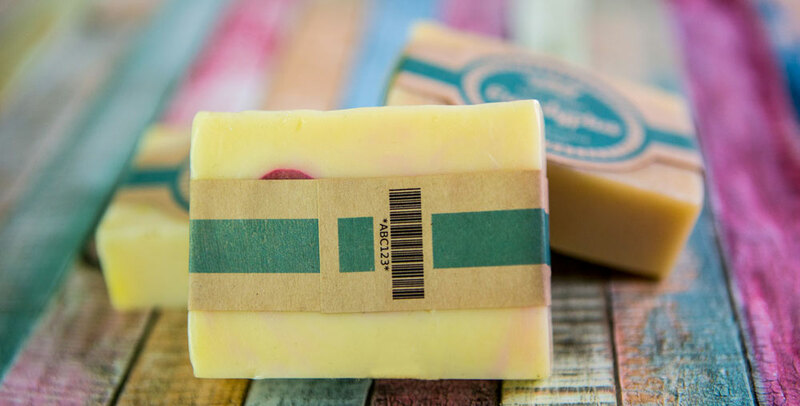 You may recognize the UPC-A and UPC-E variations as they're used on most major retail products. UPC-A is the standard version, containing 12 numbers. UPC-E barcodes are condensed versions for smaller products and contain only 6 numbers. EAN barcodes, on the other hand, are used in most of Europe, Asia, Africa, and Latin America. It is customary to use the EAN-13 barcode (comprised of 13 numbers) and EAN-8 barcode (compressed versions containing only 8 numbers) variations. Both UPCs and EANs are regulated by a global organization called GS1. GS1 assigns each company a unique identification number which is then used as the barcode prefix. The product code is added to the end of the set to create a finished barcode. The barcode is then logged in GS1's system and can be referenced by any retailer. Note: This process can be costly. You have to pay for your unique company prefix (an annual cost) and the number of barcodes you'll need to create using your company code. Because of this, creating your own UPC or EAN barcode isn't recommended if your business isn't at the "big box store" level. Because of the regulation and database association attached to UPC and EAN barcodes, you can't create your own. Not only for that reason, but also because UPCs and EANs employ what the industry calls checksums, or check digits. Algorithms verify the data included in UPCs and EANs, so you can't use them with your own naming convention. For selling your own products directly to consumers or for internal use only, Code 39 and Code 128 barcodes are likely your best options. Code 39 barcodes are used in many internal applications. Also known as USD-3 and Code 3 of 9 barcodes, they allow numbers, uppercase letters, spaces, and the following symbols: . $ - + % /. Unlike UPCs and EANs, there is no character limit for Code 39 barcodes, so they can be as short or long as necessary to store the required information. Code 128 barcodes utilize a larger selection of characters compared to Code 39 barcodes. They use upper and lowercase letters, punctuation, numbers, and the following symbols: ! @ # $ % ^ & * ( ) - _ + = [ ] \ : ; " ' , < . > / ?. Code 128 barcodes also maintain no character limit. To create your own Code 39 or Code 128 barcodes, we recommend creating your own naming convention and applying it to every barcode you create. Because Code 39 and Code 128 barcodes point solely to your POS system or inventory list, they aren't regulated and therefore will not pull up your product information on another system. The remaining barcodes are among the most popular forms, but are used by specific industries or in particular applications. Codabar barcodes are used predominantly in logistics-based operations like libraries, shipping companies, blood banks, and photo labs. Also known as Code 2 of 7, these barcodes use numbers, letters A-D, and the following symbols: . $ - + : /. Other barcode types today are able to carry more information, but Codabar barcodes remain popular in these industries because they are easily printable. Anything from dot-matrix printers to typewriters can create Codabar barcodes. Interleaved 2 of 5 barcodes (or ITF barcodes) are comprised of numbers only and must include an even number of digits. Each set of digits combines to create a piece of the visual barcode. These barcodes can often be seen on corrugated boxes containing packaged products. Note: ITF barcodes are not to be confused with ITF-14 barcodes. ITF-14 barcodes are regulated by GS1, the same way UPC and EAN barcodes are. Standard ITF barcodes are not regulated or catalogued in a database, allowing you to create your own for internal/small scale use. Postnet (Postal Numeric Encoding Technique) barcodes may not sound familiar by name, but have a distinct visual appearance. Postnet barcodes are the long barcoded strips that come printed on mail delivered through the United States Postal Service. The series of different sized bars are used to encode ZIP code information for postal service automatic mail sorters. QR (Quick Response) codes are different from the other barcodes included in this list in that they're 2-dimensional. Where the barcodes discussed up to this point have all been horizontal in nature only, QR codes are squares – the data is stored both horizontally and vertically. This means they can hold substantially more data. 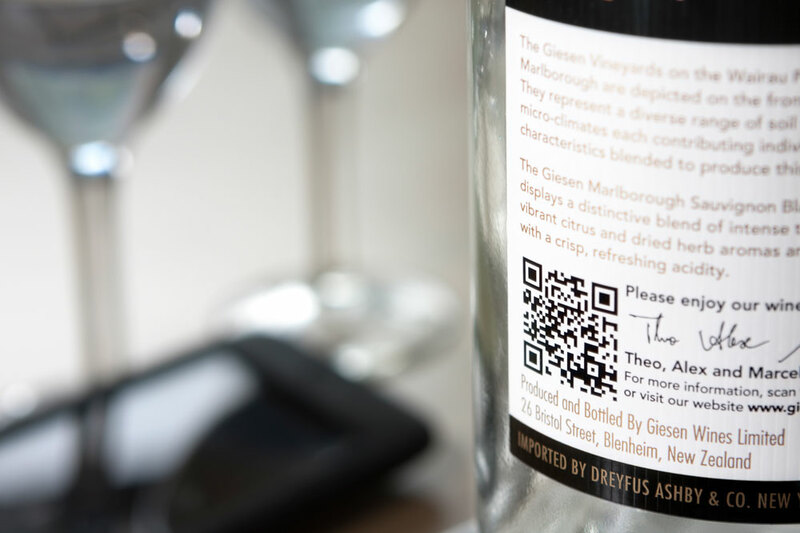 Another difference between QR codes and traditional barcodes is their use as a customer-facing tool. Brands have been using QR codes as another way to give customers information. They can contain unique content such as contact information, text, and web addresses. 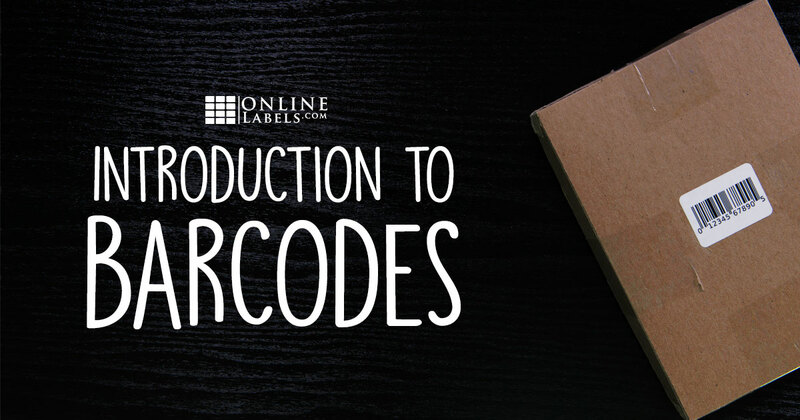 Creating your own barcodes for the aforementioned variations can be an easy process. Identify your naming convention, your 5 or 9-digit ZIP code, or information and let the barcode do the work. Like Code 39 and Code 128 barcodes, Codabar and ITF barcodes will not pull up your specific information on another system. Postnet and QR codes, however, can be referenced by anyone with the appropriate scanner. Don't stress when it comes to barcoding. Below are some common questions and simple, easy-to-understand answers to help! UPC, EAN, and ITF-14 barcodes are unique to specific products. Because they're created as part of a universal database, they pull the same result everytime. Without a database association, most of the other barcode types aren't unique. This includes Code 39, Code 128, and ITF barcode types. They can be created by different people to identify various products. Are barcodes and UPC codes the same? UPCs are barcodes but barcodes are not necessarily UPCs. The scannable barcode lines are simply a machine-readable representation of the UPC data. Are barcodes a legal requirement? Barcodes are not required by any governmental body, but they're likely a qualification by vendors to sell in a retail environment. Products in shopping giants like Walmart and Target are all barcoded. Amazon also uses barcodes in their ecommerce operation. Can barcodes be different colors or designed? There's a decent amount of leeway with barcode design. As long as your combination includes colors with high enough contrast, it should be scannable. Try the original white background with black, blue, or green text. Or switch up the background color too, red or yellow are alternates. Low-contrast combinations include red on green, black on brown, or yellow on white, for example. As for the design, there's even more room for creativity. Only a small section of the barcode is actually needed for scanning. This means you can create fun shapes or interrupt the lines with other design elements. Certain barcode types can utilize letters, like Code 39 barcodes. However, the most standardized options, like UPC and EAN, are strictly numeric. The next time you see a barcode, we hope you're able to identify it. If you would like to make any of the above barcodes, visit our barcode generator and get started. Questions? Check out our other barcoding content including Barcoding for Small Businesses and How to Create & Print Barcodes. You can also call our customer service team at 1-888-575-2235 or check out our other label generator tools for business owners.